Second Generation Wood Stairs has a rich background in wooden architecture. 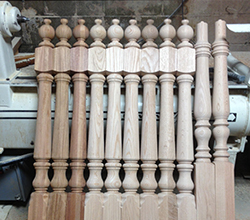 Our expertise in custom woodturning and staircases has earned us a special place in the industry. No job is too small or too big for us, as we have successfully worked on numerous projects with homeowners, builders, and architects. From start to finish, we take care of all the requirements of the project. In this continuously evolving wood crafting industry, we always learn and adopt the latest trends and techniques, in order to deliver top quality custom wood turning solutions. 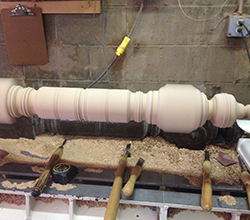 We have the experience and the tools needed to design and manufacture turnings to your specifications. 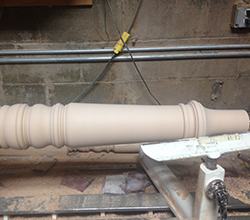 We have exceptional wood turning experience and capabilities that allow us to craft custom stairs in any shape, size, and form. We are highly regarded in the industry, because of the incomparable quality of our services, and the fair rates we offer. The distinctive craftsmanship of our work is highly appreciated by all our clients! By using our craftsmanship and new age technology, we can help you build staircases that will rightly match your style and needs. Contact us now to discuss your project details!